One of the problems that has bedeviled the take-up of the Internet of Things devices is the cost of connectivity. With multiple devices on a network, there is the question of how to connect them. An initiative spearheaded by two Dutch entrepreneurs may have an answer. Their concept, The Things Network, operates on a similar principle to the internet: it comprises a network of distributed gateways, each operated and managed separately. The network is based on a technology called LoRaWAN, a “Low Power Wide Area Network” that uses different frequency channels and data rates for communication. The technology uses data rates ranging from 0.3kbps to 50kbps and creates a set of virtual channels to increase the capacity of the gateway. The use of LoRaWAN is already transforming the way that companies can use IoT devices: because of the low cost of the gateways, large urban areas can be covered very cheaply; for example, the entire city of Amsterdam has comprehensive LoRaWAN coverage, using just 10 gateways costing $1200 each. 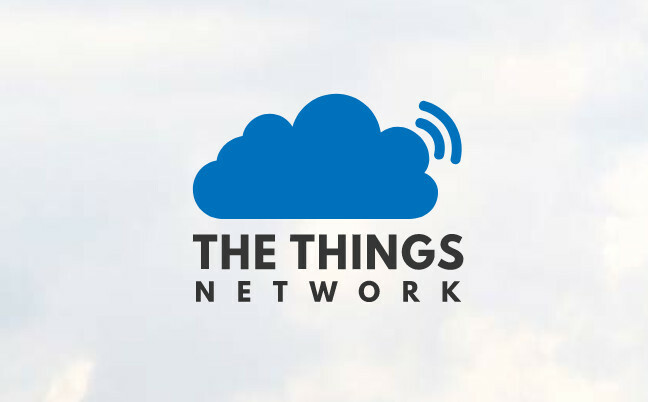 According to joint founder Johan Stokking, the thinking behind The Things Network was an attempt to democratize the means to power IoT devices, without being held to ransom by the telcos.” What carriers have — and the rest of the world doesn’t — is licensed spectrum. Our vision was for a network that was open, decentralized, crowd-sourced, owned and operated by the users themselves.” Stokking presented a progress report of this work at RedMonk’s ThingMonk conference in London earlier this year. Currently, there are two parts to The Things Network, a set-up that’s very similar to open source distros. There’s the TTN Foundation, which runs the free community network and publishes the open source licensed code. And then there’s the TTN company, where all the development happens, but which also develops private networks for clients. There’s also little danger of LoRaWAN interfering with other networks, nor are users faced with regulatory issues. “LoRaWAN is an ISM bands, which have long been used for a number of applications — industrial, scientific and medical (hence the initials). It also uses the chirp spread spectrum to reduce interference from other channels. The Things Network has grown quickly since its launch in 2015. It currently has 24,000 registered users, says Stokking. “These are mostly small businesses, independent enthusiasts and academics. Overwhelmingly, the majority are SMEs, but we have lots of users who don’t register at all.” He adds that he’s also looking to work with local authorities — but is not directly involved in those conversations. The use of LoRaWAN offers a real option to the many organizations who have gone down the IoT route and who are finding the cost of supporting such a network more than they expected. The gateways can cost as little as $150 so they do offer a way for some small firms to get connected. Perhaps, TTN is still carrying the spirit of the early days of the internet, but the rapid growth demonstrates clearly that Stokking and his team are on to something. If the expected boom in IoT materializes, businesses will be looking to ever cheap ways of connecting those devices; two Dutch entrepreneurs may just have found the way forward.